Martin is the principal investigator of the Law of Asylum project. He is a senior lecturer in international human rights law at the Centre for Applied Human Rights at the University of York. He has practiced as a refugee lawyer in Canada and has consulted to a wide range of refugee legal aid organisations in the Global South. Kelley serves as the director of the LLM in Human Rights and is deputy director of the Centre for Comparative and Public Law (CCPL), and Co-Editor-in-Chief of the Asia-Pacific Journal on Human Rights and the Law. She is a member of the Advisory Committee of Justice Centre Hong Kong, formerly the Hong Kong Refugee Advice Centre. 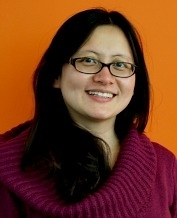 Alice is a lecturer at the Centre of Applied Human Rights at the University of York. Alice conducts research on the security and protection of human rights defenders at risk, and on asylum and migration in Asia. Emma is the project co-ordinator for the Law of Asylum Project. Emma is currently studying Education and International Development at the Institute of Education at UCL, and has conducted research on projects on the struggle for independence in West Papua and peace building education in Myanmar. Juliana is the storytelling researcher for the Law of Asylum Project. 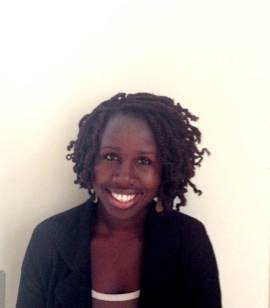 Juliana is a Research and Teaching Fellow with a focus on arts and human rights. Juliana has several years experience of developing, managing and delivering cross art-from creative projects for community development and social action and has worked with a number of human rights and civil society organisations.